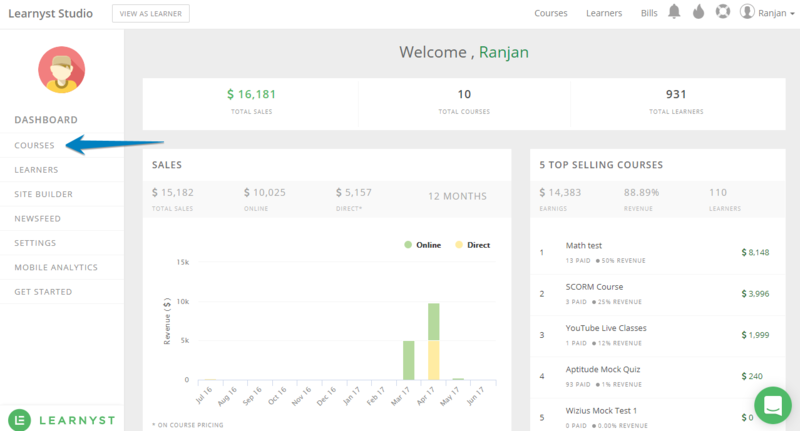 With Learnyst, you can keep more than one course together as bundle and sell bulk courses or tests together. 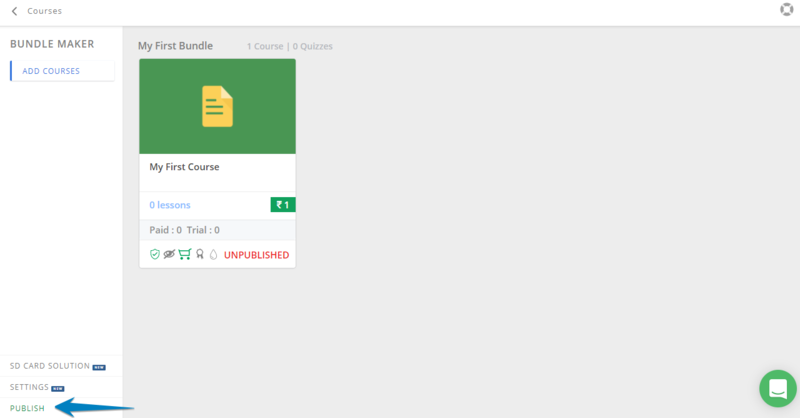 Here, I will tell you how to create your first bundle. 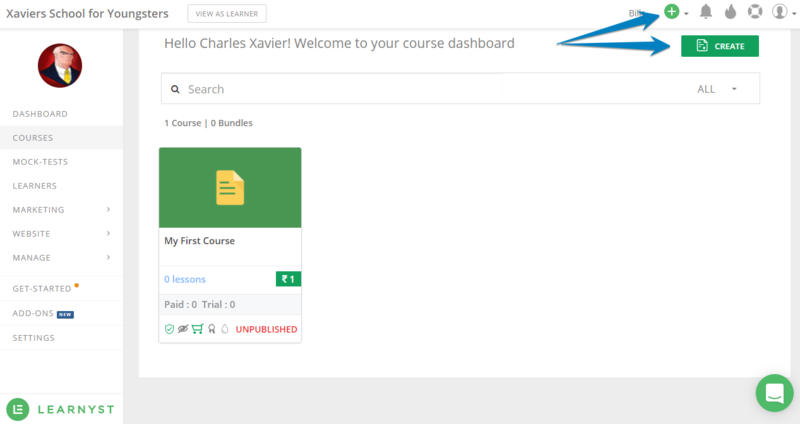 Step 1 : Now that you have some set of courses and tests created, click on Course Icon. Click on Create button. 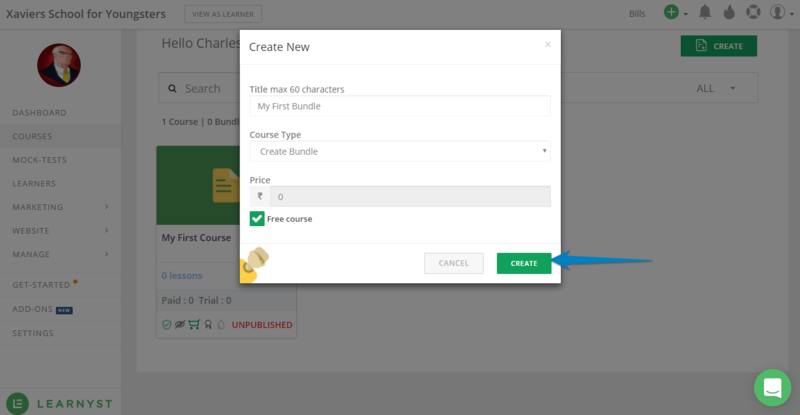 Step 2 : Click on Create button and give a Name to the bundle and Price and click on Create. 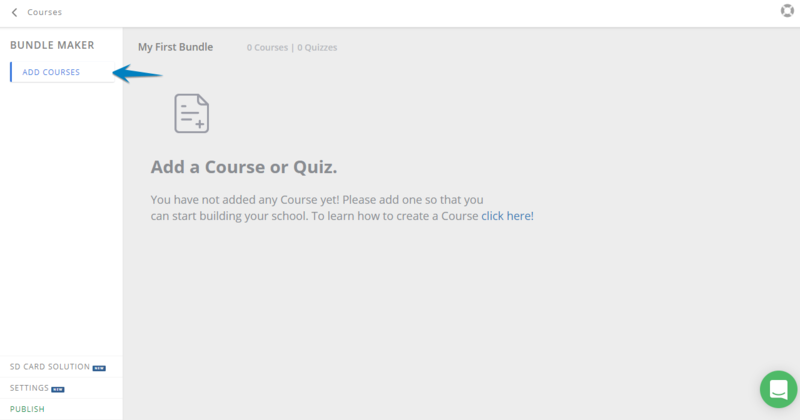 Step 3 : Click on Add Course button. 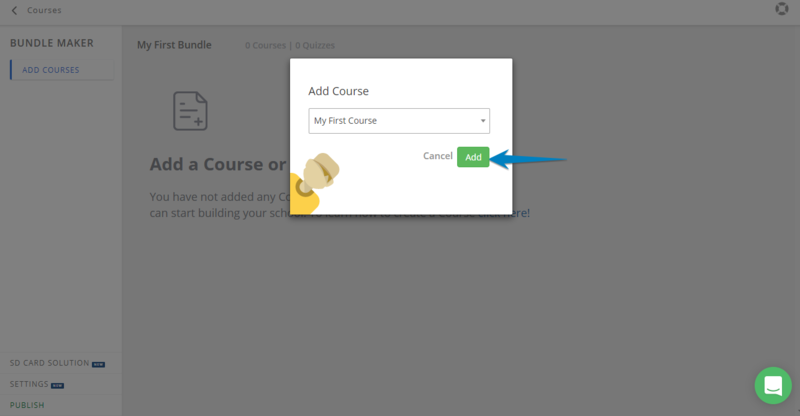 Select a Course/Test from the drop down list and click on Add to add them to your bundle.